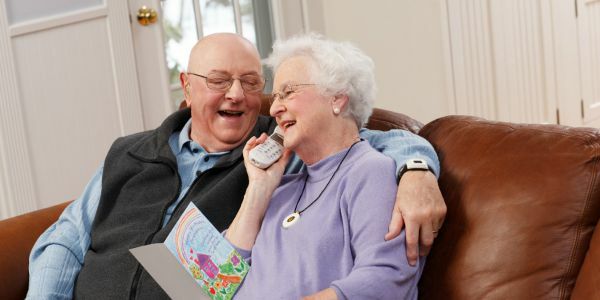 ComForCare is pleased to provide members of the senior community with America's most trusted medical alert service. For more than 40 years, Lifeline has enabled millions of people to live with greater independence, peace of mind and dignity in the place they feel more comfortable ― their own homes. Standard Lifeline ― classic service providing quick access to help at the touch of a button - 24 hours a day, 365 days a year. Lifeline with AutoAlert –offers all of the benefits of the standard service plus an added layer of protection: the pendant can automatically place a call for help if a fall is detected and the subscriber is unable to push his/her help button. HomeSafe Lifeline (No landline) ― this includes all the benefits of the standard service for individuals without a landline. HomeSafe Lifeline (No landline) with AutoAlert ― This includes Philips leading fall detection service for individuals without a landline. GoSafe Lifeline ― Provides protection inside and outside the home with mobile Lifeline service. This allows a subscriber to go anywhere, and should an emergency occur, this device will provide a two-way voice with the Lifeline response center.